HEART WARMING TAXI DRIVER AND FAMILY. READ THE STORY! You are at:Home»Caught In The Act»HEART WARMING TAXI DRIVER AND FAMILY. READ THE STORY! I wish to share one of the most wonderful experience I have ever had in a long time. Let me start at the beginning. My family have booked tickets to watch Jurassic World: Fallen Kingdom. My wife had initially wanted to use the Grab app but I advised against it, since we had time. I suggested to take the bus instead as our destination was not that far away. While waiting for the bus, an elderly Malay lady approached me and asked where Sengkang Secondary School was. She wanted to board the bus service 87 but we advised her that its just a 3 minutes walk from the bus stop. But she insisted the school is at Punggol area. Sensing something was amiss, we interviewed her further. We knew then when we smelled her body odour. She admitted that she had slept between blocks for the past 2 days and not had any meals. Unfortunately, the coffeeshop nearby have no Halal stalls. So we bought her a drink and called the police for assistance. It took a good 20 min before they arrive. But before I go on further, this is not a post to describe our good deeds. If you have read till this point, pls read on. 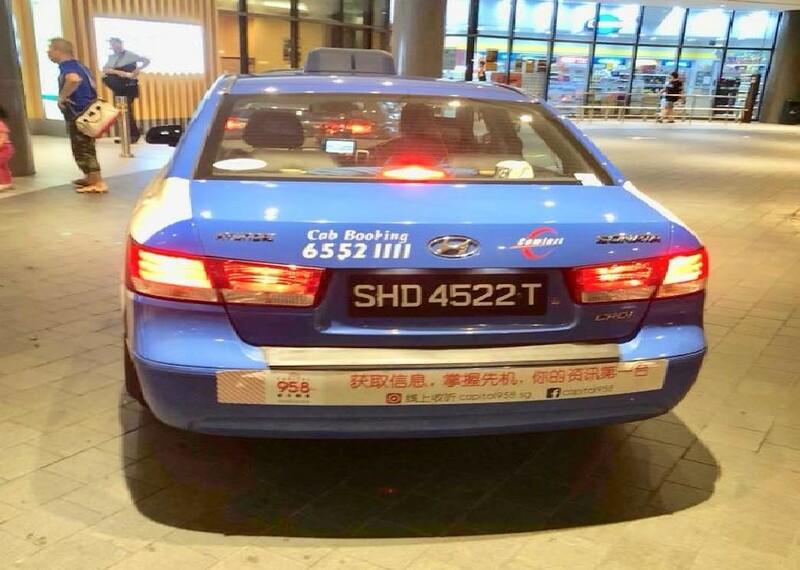 The movie starts in 5 minutes and we saw a Comfort Taxi with the “Available” sign lighted at the service road of the carpark. The police allowed us to leave as our assistance was no longer required. I ran to the taxi and knocked on the door. The driver (Mr. Hardeep Singh) driving SHD4522T was shocked and we apologised for the startle. He asked us why we were in a rush; so we explained the situation that took place earlier. He goes on to explain that he empathised with the lady and kept thanking us for doing what we did. He mentioned that his mum faces the same problem (dementia). He is a very friendly person and has good command in the Malay language. We conversed throughout the journey (albeit a short one) and before we knew it, we arrived at Seletar Mall for the movie. The fare was somewhere in the region of $6-7. As I was handing him a $10 note (with an intention of letting him keep the change), he mentioned the words,”No bill.” I couldn’t confirmed it initially but he mentioned the words again. We were so touched by the gesture and my hope for humanity is restored. We salute you Mr Hadeep Singh and you deserve the highest honour of moral accolades. We showed our son the values of being nice to people and without expecting anything in return even if it means losing things we want while doing so. He told me,”I don’t think it will happen to me and this is a one in a million chance.” I advised him that sometimes we just need to open hearts and our eyes. He nodded in agreement. Finally, we were not late for the movie!!! That is just the perfect icing on a wonderful day. PS: Comfort Taxi, pls reward/acknowledge Mr Hadeep Singh for his deeds. He thoroughly deserves them. *Edited to correct some grammatical errors. I’m sure there’s more but the post is all about Mr. Hardeep Singh not my C6 English 😆.